The Indian government on 16th January, 2016 launched ‘Startup India’ campaign with a strong focus on promoting the awareness and adoption of Intellectual Property Rights (IPRs) by startups. The government wants to make it easy for innovative and creative startups to protect and leverage their Intellectual property both in India and abroad. As part of this initiative, the government hopes to help startups having limited resources and manpower to gain commercial advantage by adequately protecting their intellectual properties. Patent applications in India take around 5 years to get to a point of grant. As patent rights start from the date of publication itself, it cannot be enforced till the patent gets a grant. Hence, the 5 year period is too long a time considering that majority of startups will eventually fail and close down business within a few years. Hypothetically, if the examination process is fast tracked and applications by startups are prioritized, then considering a request by startups for early publication and fast tracked examination by the Indian patent office, it is possible that the timeline of 5 years can be brought down to around 2 years, which could help innovative startups capitalize and realize the value of their inventions at the earliest. In order to fast track patent applications, the new Patent (amendment) rules, 2016 have brought some changes in the patent process to include an option for expedited examination of patent applications. Such, expedited examination request by a startup is expected to cut the patent process timeline by a year or two. Further, the time for putting an application in order for grant has been reduced from one year to six months. The government has notified that a rebate of 80% will be provided on the filing costs as compared to other companies to ease the burden on startups. 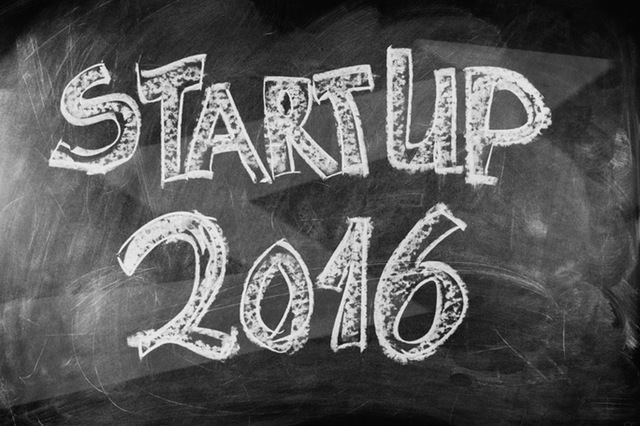 As per the recent Patent (amendment) rules, 2016 a new ‘Startup’ category has been introduced at the same government as that for an individual. Hence, the standard fee for a patent application is ₹ 1,600 for individuals and Startups, ₹ 4,000 for small entity and ₹ for others. Thus, a 80% discount is applicable for startups as against the last category of others. The rebate will be applicable on the government fee for different actions involved in process of registration, including filing, examination, form filings, etc.. Entity working towards innovation, development, deployment or commercialization of new products, processes or services driven by technology or intellectual property. Entity has obtained certificate from the startup certification board. Only those entities which satisfy each of the aforementioned criteria are eligible to seek advantage under the SIPP scheme with respect to IP related aspects. Appointment and the criteria of appointment of a facilitator – In order to implement the SIPP scheme, the CGPDTM will empanel facilitators (provided they qualify at least one of the criteria provided below) and regulate the conduct and functions of the facilitators from time to time. Any patent agent registered with the CGPDTM. Any trademark agent registered with the CGPDTM. Any advocated defined under The Advocates Act, 1961 who is eligible to practice law, is well versed with the provisions of the Patent, Trademark & Design act, and is actively involved in the filing and disposal of applications for patents, trademarks and designs. Government departments, organizations, agencies like TIFAC, NRDC, BIRAC, DEITY, DSIR, etc. Also see our list of trademark and patent facilitators working in quality IP law firms in India. Ensuring final disposal of IPR applications. Fee applicability – As part of the SIPP scheme, eligible startups will only be paying the required government fee for IP filings in India and abroad. No professional fee will have to be paid to the empanelled facilitators by the startups. The government will pay the professional fee based on the fee structure decided by the Department of Industrial Policy and Promotion (DIPP) from time to time. As of 18th January, 2016; the following professional fee payments have been decided by the government to be paid to the empanelled facilitators. In my opinion, it will be difficult to get high quality professionals to be interested in applying as facilitators as the fee provided as compensation is less, especially in the patent domain. The CGPDTM should think about compensating reasonably well to ensure a high standard in the empanelled facilitator pool. However, some professionals from reputed firms have joined as facilitators. Since, 95% of the patent costs depends on the professional fees, utilizing the scheme and the cost benefits is something which every startup with a shoe string budget should consider. The only difficult task will be to find the right facilitator. Ownership of IP – The startups will retain complete right on their Intellectual properties. No IPR will be transferred to the facilitator or to the government under the SIPP scheme. Period of scheme – The scheme will be run on a pilot basis for a 1-year period from the launch of Startup India campaign. Only time will tell how the scheme kicks off and is received by startups. Note: There is no clarity with respect to the professional fee charged by foreign attorneys for international applications. Based on the available information, it seems that the fee paid to foreign attorneys will have to be borne by the startups themselves as facilitators will not be able to file and prosecute applications in foreign jurisdictions. Update 13 June 2016 – The post has been updated to include the list of appointed patent and trademark facilitators and the updates as per the patent amendment rules, 2016. I want to Register Trademark my to be started E-Commerce company name. Kindly revert back with details. We have sent an email with the details requested during our telephonic discussion. what Is the cost of Filing a patent In India. This Is for a Social Networking Web Application. In case you are eligible to claim discount under the Startup India movement, only the government fee will be applicable for you if you choose a person / organization who is acting as a patent facilitator. In case you wish to have a discussion on the phone, please email your contact details on [email protected]. © Zatalyst 2019, All rights reserved.